Is The 7-Party Coalition Bonded By A Common Purpose Or Enemy? AsiaInsider: Thailand’s Pheu Thai Party has announced a seven-party coalition which it claims has won a majority of Lower House seats in Sunday’s general election - the first since a 2014 military coup. How stable will this coalition be? Meanwhile, Indonesia is gearing for its general election in April. What’s at stake, and what issues will be played up? Joshua Chambers, Managing Editor of GovInsider, shares his insights. What Does The High Turnout In Thai’s Early Vote Mean? AsiaInsider: Nearly 90 per cent of registered voters turned up for early voting for the Thai election. Which parties stand the best chance for the 24 March general election? And back home, what smart city lessons can Singapore learn from China, Japan and South Korea? Joshua Chambers, Managing Editor of GovInsider, shares his insights. Malaysia freed an Indonesian woman accused of killing Mr Kim Jong Nam, North Korean leader Kim Jong Un’s half brother, in a surprise move, saying it’s “taking into account the good relations between the two countries”. Is this outcome a diplomatic win for Malaysia, Indonesia and North Korea? What could happen to the Vietnamese suspect? Meanwhile, in the UK, will MPs vote against a no-deal Brexit? Joshua Chambers, Managing Editor of GovInsider, shares his insights. Trump-Kim Summit: Why Was Vietnam Chosen As A Venue? What does it say about Trump that he has to repeatedly travel to Asia to meet Kim? As North Korea’s only ally, what does China want out of the summit? Joshua Chambers, founder and managing editor of GovInsider, shares his views in the lead-up to the second Trump Kim Summit in Hanoi. Will The Japanese Exodus From The UK Trigger A Domino Effect Of Businesses Leaving? AsiaInsider: Honda is the latest Japanese firm to announce plans to leave the UK. Is Brexit to blame? Meanwhile, the EU has threatened to withdraw duty-free preference for Cambodia over human rights concerns. How will this affect a Cambodia that’s increasingly looking to China? Joshua Chambers, managing editor of GovInsider, offers his insights. Indonesian government has decided against freeing Jemaah Islamiyah’s “ideological godfather” Abu Bakar Bashir, reversing an earlier decision to grant him early release on humanitarian grounds. What would have been the political and security impact if Indonesia had gone ahead? Joshua Chambers, Founder and Managing Editor of GovInsider shares his analysis. China contributes the third-largest foreign investment in Indonesia. What impact does this have for next year’s Indonesian general election? 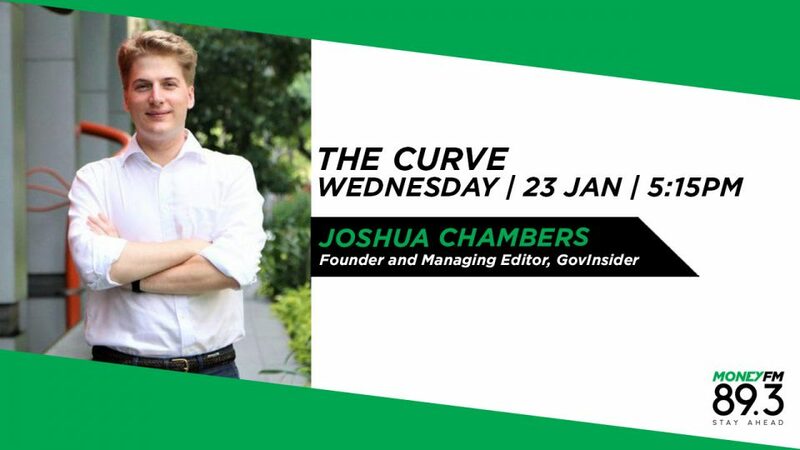 GovInsider Founder and Managing Editor Joshua Chambers gives his insights.